Get hyped, because Digimon rpg Digimon Story: Cyber Sleuth is coming to the west for Vita and Playstation 4 next year!!! As a child of the nineties I grew up with gems such as Sailor Moon, Dragon Ball Z, Yu-Gi-Oh, and of course Pokemon and Digimon. Out of all of them Digimon was one of my favourites as a kid, and I'm honestly thrilled to see one of the reputedly better Digimon games is actually finally coming to the west, and packed to the brim with classics like Agumon, Gabumon, and of course Terriermon! I've only heard great things about the game, there has been a short western video of it running on PS4 and looks good but still not 100% sure how a game made for the VITA will translate to the PS4 but anything is better then nothing when it comes to Digimon. Games can look really improved simply rendered in a higher definition so I wager that'll be the big thing the ps4 version boasts. I've been waiting to hear something about digimon for a game as there is new episodes coming out means only one thing! game on! I absolutely love Digimon. For me, anime wise at least, it was an absolute cut above pokemon. I had a few of the LCD digivices and whatnot, which were incredible and totally made me feel like a digidestined, but the only games I've played are the original Digimon World and a smash ripoff on GameCube. If I have a PS4 by the time this releases I'll be all over it. I keep wandering into Nontendo almost by accident, seeing this, and cringing. Sleuth, damn it! EU! Like Europe! Also Drunka's right, the Digimon anime was miles better than Pokémon. Just having a beginning, middle, and end assured that. I'll probably get this simply because it's Vita game alone. But also Digimon is cool and this game seems to have a good reception so why not? It is digital only on the VITA though for the West. Also a trailer for the new one Japan are getting for VITA hopefully if the Cyber does well in the West, this will also come over and ported to PS4. I've got no idea about the Megaman Battlenet comparison, I just hope Namco bring this out at sensible time and not like March when there is a load of games already. Has anyone picked this up as I know Athrun was excited. I manged to find the game on PS4 as it's physical, I was tempted to import the Asian Version of the game on VITA as it's got English subs but it's Japanese VO. I thought the English release would of been in English as we had trailers with English VO but nope all Japanese with English sub but it doesn't affect the game. Which you can tell is a VITA (could looking VITA game) port or the nearest I've played is another Namco game Tales of Zestiria which was a PS3 game port to PS4 and still looked like a slightly better of was the original. The actual game from the first 1hr 45mins or start of Chapter 2 was a bit slow to start with but there's 20 chapters of a JRPG that I've barely scratched the surface. The combat is generic turn -based stuff with my Terriermon, which is about of nostalgia fest at the moment going ohh cool it's a Arugmon. I'm only 2 hours in so far, got it on Vita. Enjoying it so far! Digimon World: New Order is coming to the west on PS4 early 2017, I need to go back and play Cyver but a proper World game on PS4 sounds great even if its a VITA port. I ended up getting Cyber Sleuth in the end, quite enjoyed it, if it has a levelling/evolution system like that I'll be up for a return to the digital world. 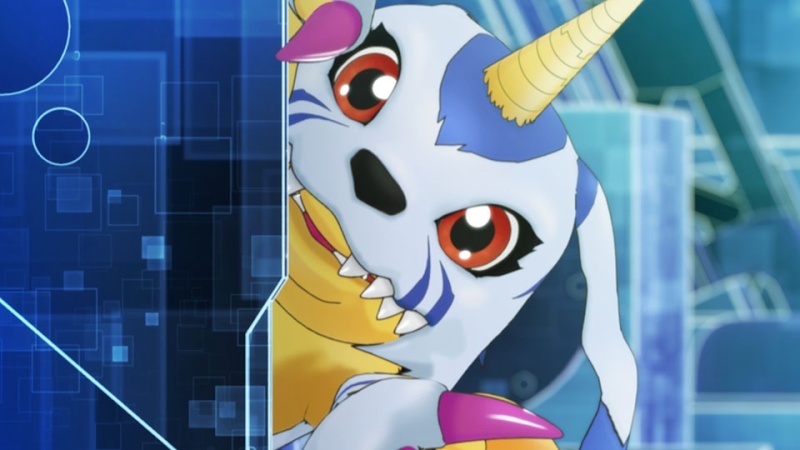 Subject: Re: Digimon Story: Cyber Sleuth - Get Your Digivices Ready!